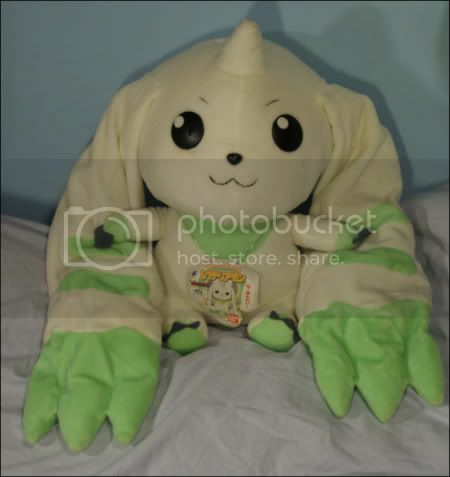 A lifesize Terriermon plush! Moumantai! 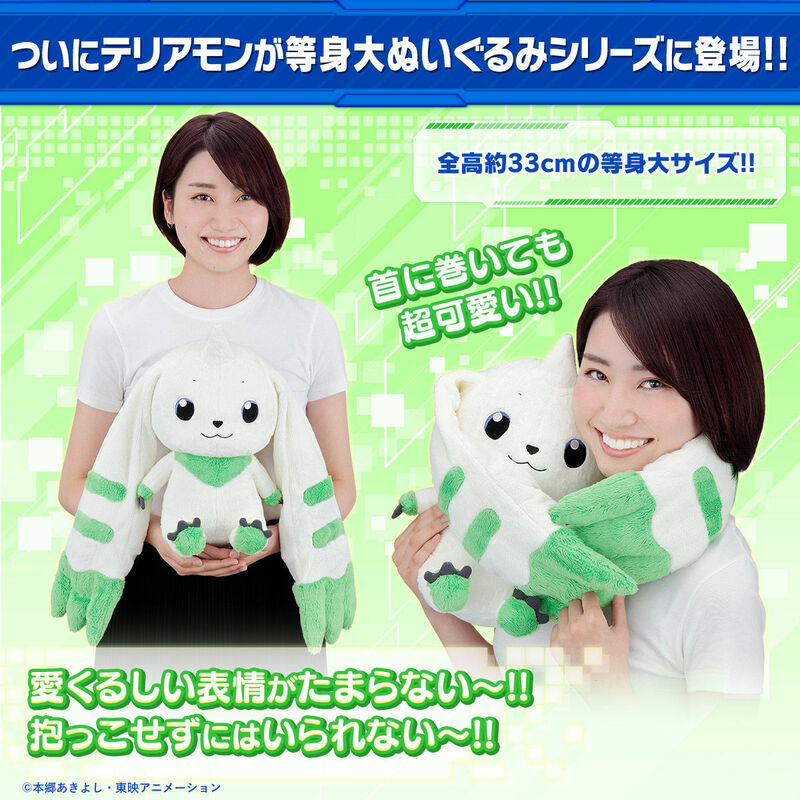 The beloved cute Digimon finally appears in the life sized stuffed animal series! His design was supervised by Kenji Watanabe! They reproduced various aspects of his design, including his long ears, so he can actually wrap around your neck and you can carry him if you want. They consider his eyes to look elegant, and that he looks so cute it's unbearable. You'll want to provide your chosen intermediary with the link to the item. Just copy paste the link to the product pages for what you want and send them a message about it and they'll take care of it after they discuss pricing and their policies with you. The links embedded in the news article for the products are exactly what you'll need to send them. Some of the intermediaries have a full storefront and may have the item listed, so you may want to check that first. I was expecting them to keep doing the adventure mons first. 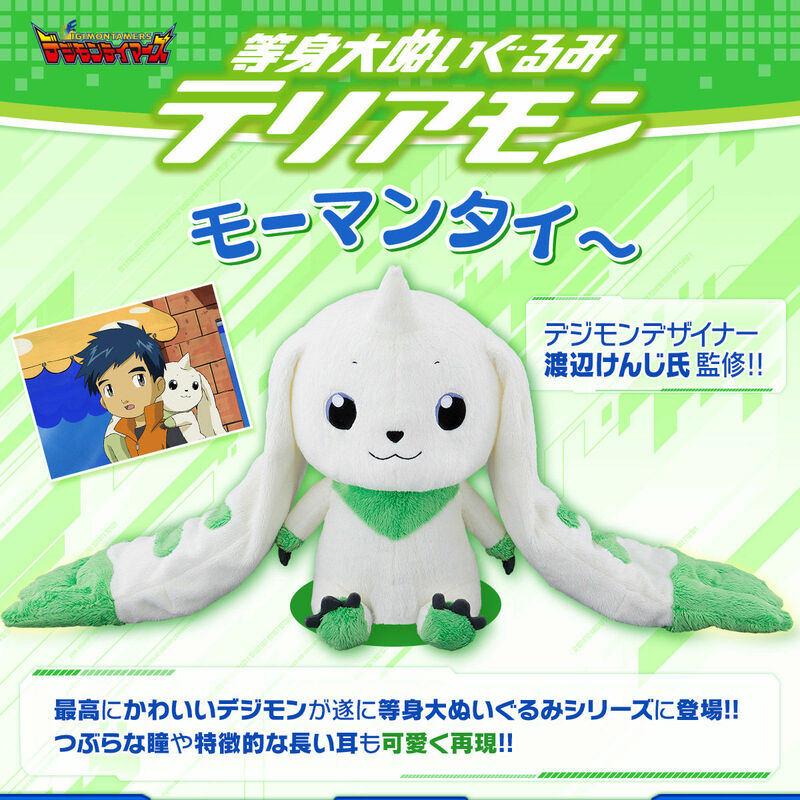 Im surprised to see this one, considering Terriermon already had a 1/1 plush before. If its not the same pattern, its at least very similar. Not a big fan of the color, but love the fuzzy-ness. the green seems fine to me. a bit fuzzy compared to previous plushies though. when did they make a official premium bandai 1:1 terriermon? if you were referring to the crane game machines, those are ok in size but definitely not 1:1 but close. got a reference that i can take a look at? 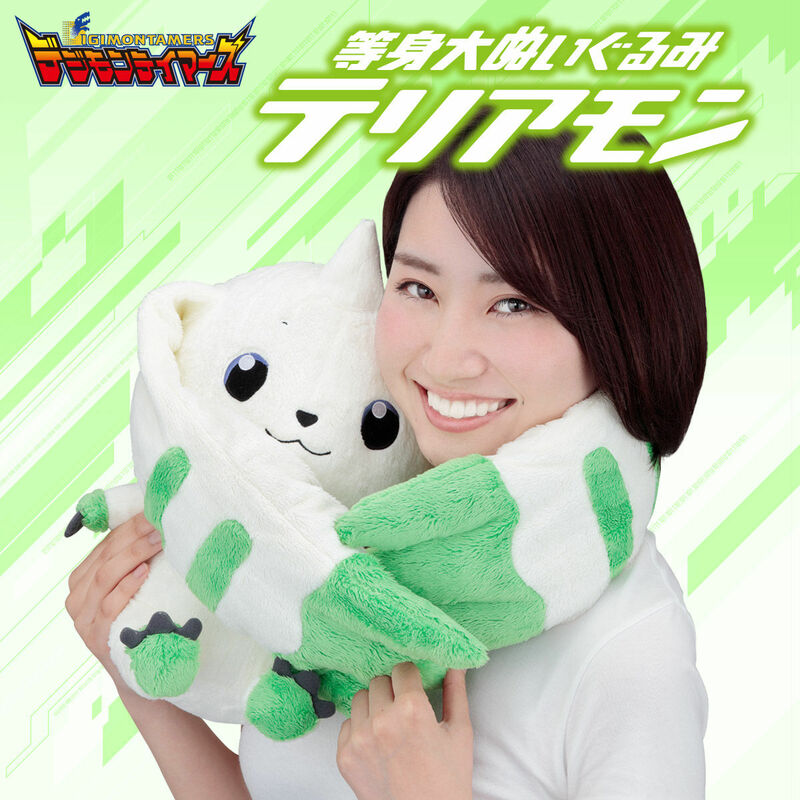 Yeah, as mentioned, this along with chibimon were the 2 lifesize digimon plush that were released. Tag is not very clear, but it is stated is 1/1. Updated it awhile ago since pre-orders are open, but forgot to make an update post here.